Ramon Cabanos Barba, was declared a National Scientist in June 2014. Barba was born in Ilocos Norte in 1939, the youngest of four siblings. 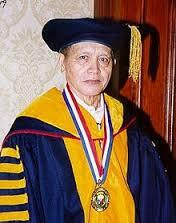 Hegraduated with a Bachelor of Science degree from the University of the Philippines Los Baños in 1958. In 1974, Barba got the Ten Outstanding Young Men in Agriculture award and Horticultural Technology Award in 1999. He was inspired by his maternal grandfather Juan Cabanas, an official of the Bureau of Plants and Industry. His postgraduate studies were undertaken at the University of Georgia where he conducted experiments on inducing of the flowering of plants utilizing gibberellic acid and potassium nitrate as fertilizer. His postgraduate degree of Master of Science in Horticulture concluded in 1962. These experiments resulted in boosting the local mango industry. Since mango is a seasonal fruit, Barba invented a technique to make mangoes flower and bear fruit even during the off-season. At Qimara Farms, success was realized when 400 mango trees aged 10-12 years old were made to flower within 1 week to 1 month using Barba’s technique. Ramon Barba also advanced the research on other fruits and crops such as bananas, cassava and sugarcane. Barba refused to patent his technique because he wanted farmers to copy his technique. Eventually he patented it when somebody else tried to patent it. Although patented, Barba does not collect royalties from his technique.